ON SALE! Buy 4 packs and Get 1 FREE! 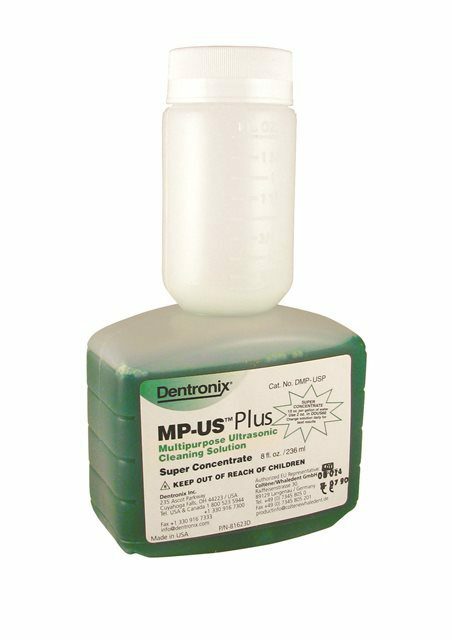 Dentronix proprietary formula is non-ionic, non-enzymatic, chemically neutral and no-rinse. It features a rust inhibitor for all instruments and is super-concentrated at almost 250:1. 8 oz bottle makes 16 gallons. The original solution formulated for Dry Heat. Keeps instruments safe and corrosion free. Non-ionic, non-enzymatic, chemically neutral with an effective rust inhibitor.